The Cyber Monday Kitchen Knife deals are going to be just as promising as the Black Friday deals were. I have pulled together to top deals including some Black Friday deals that are still active. Before you purchase a kitchen knife or knife set, take a few moments and compare all of the available deals. Also be sure that you know exactly what you are needing. 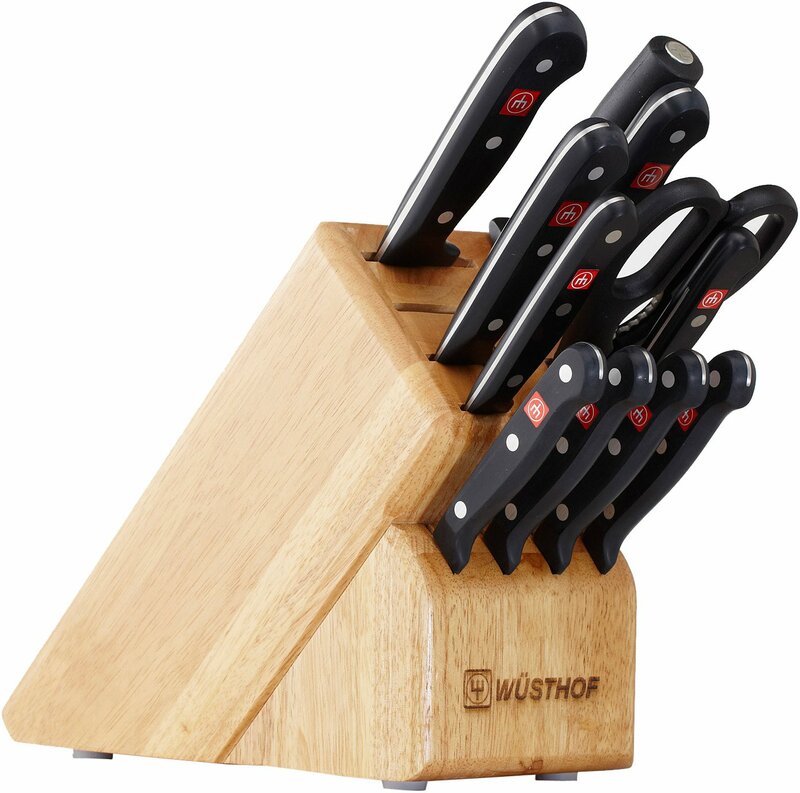 Knife block sets may be perfect for one person, but to another, there are more knives then they actually need. SteelBlue Kitchen exists to help others discover, research, and select knives and other kitchen products that meet their needs, desires, and budget. 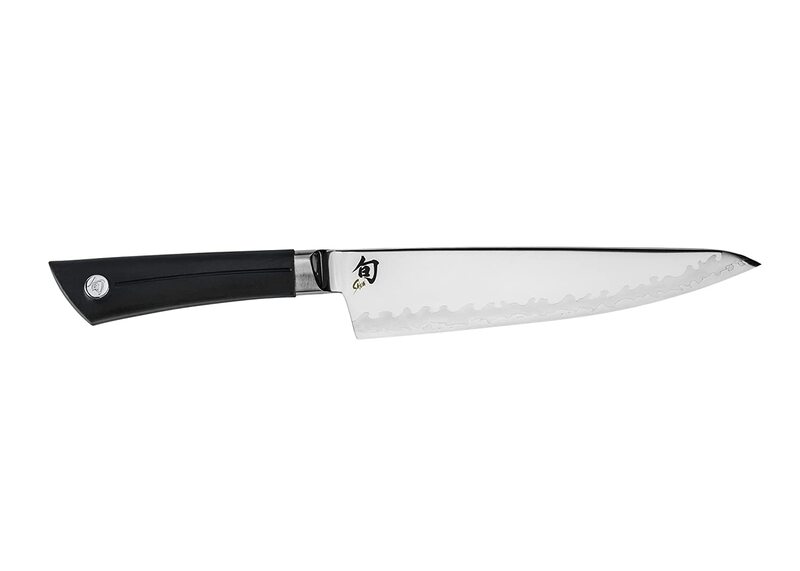 The following chef knives are the best Cyber Monday deals from all the stores having sales. Black Friday is filled with crazy good sales, and it can be challenging to find the best deal on kitchen knives. To help save you time in your chef knife shopping adventure, I have compiled all of the available online and in-store Black Friday Kitchen Knife deals. The following lists will be updated as sales changes and new sales are released. Last updated November 22, 2017. 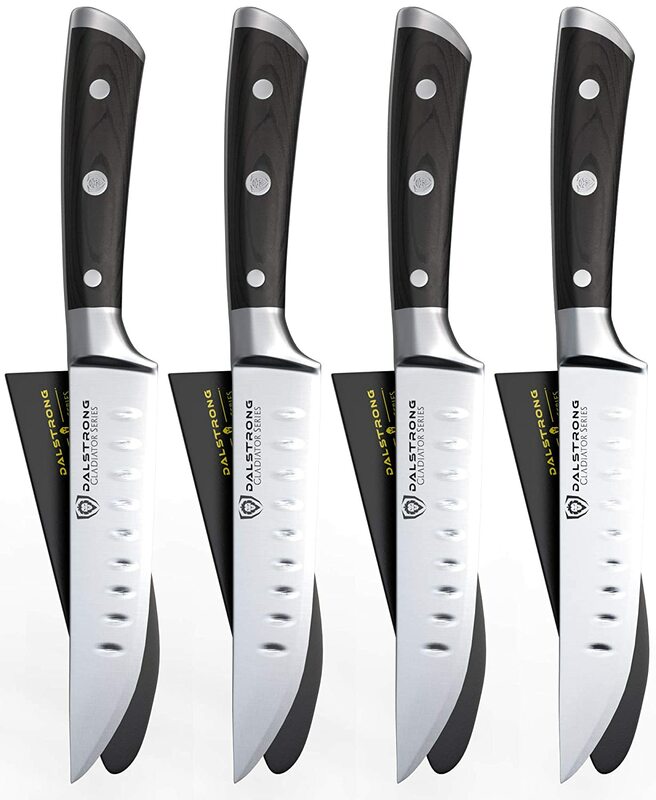 Here are my recommended Cyber Monday deals on Chef Knives and Knife Sets. I have selected my top choices in four different categories. FInding the best deals for Cyber Monday can be overwhelming. I have compiled all of the kitchen knife set deals into a single list to help save you time with your online knife shopping. Amazon is not just having a Cyber Monday sale. They are having a Cyber Monday Deals Week. Check out all of their kitchen items on sale!. This fairly new knife company offers a wide range of knives and knife sets that include unique designs and a lifetime warranty against defects. Dalstrong will be offering at least 15% off for all of their knives on Cyber Monday. Take a look at a few of their current deals below. 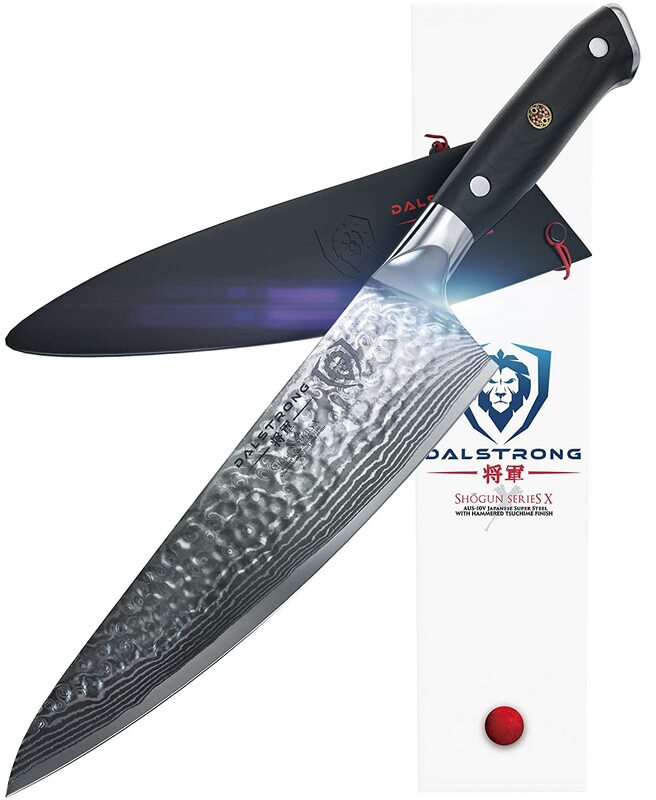 This chef knife features an ultra sharp AUS-10V Vacuum Heat Treated Japanese super steel cutting core at 62+ Rockwell hardness: extraordinary performance and edge retention. Incredibly razor sharp, full-tang, imported high-carbon German steel with a hand polished edge at 14-16 degrees per side. Precisely tempered and stain resistant. This set will last a lifetime. Engineered to perfection at 56+ Rockwell hardness and hand polished to a satin finish. 100% SATISFACTION OR MONEY BACK GUARANTEE, try risk free, we know you’ll love it! Dalstrong: helping chef’s perform their best. Incredibly sharp, full-tang, imported Thyssenkrupp high-carbon German steel. Clean, straight cuts with 5″ of razor sharp German steel honed to perfection. Rock-hollow dimples ensure meat falls off the blade. Luxury black pakkawood handle is triple-riveted with a grip that ensures comfort and maneuverability. Protective sheaths included. 100% SATISFACTION OR MONEY BACK GUARANTEE, try it risk free, we know you’ll love it! Sur la Table has opened up their Cyber Monday sales. In addition to their knife deaks, they are offering FREE SHIPPING on orders over $59. There are a lot of knives that you can choose from. Shopping for the least expensive knives may lead you to be unhappy with your purchase. Be sure that you know what types of knives are available. It is worth a few extra minutes of researching all of the options to make sure that you find the right knife for not only your need but also your budget. 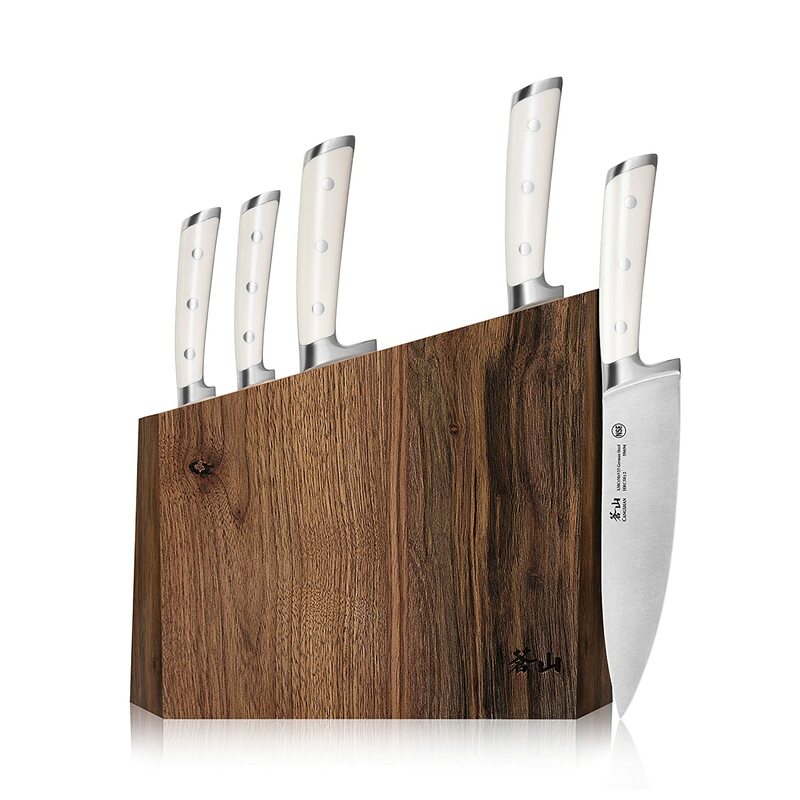 Knife block sets are one of the most common ways that knives are purchased. There are some really good knife sets available, but in most cases you get more knives than you actually need. The Kitchen Knife Trio includes the most commonly used knives in the kitchen. This trio is made up of the chef knife, bread knife, and pairing knife. The bread knife has a blade with surrated edges. The surrated edges are made sawing through bread crusts, but are also good for slicing fruits, vegetables, and cakes. A good bread knife is about 10″. 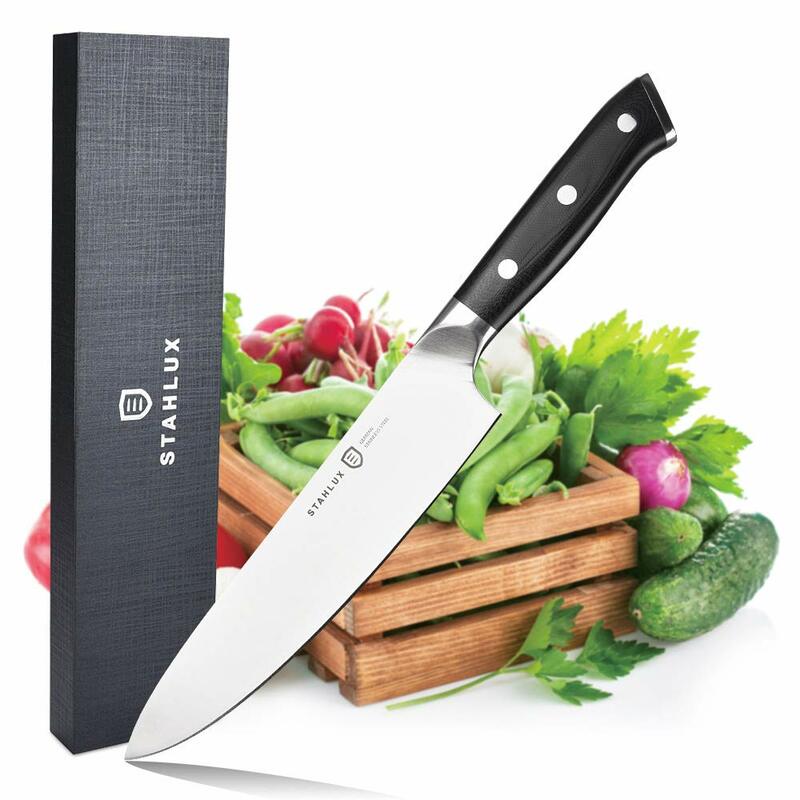 The pairing knife does really well for little jobs that a chef’s knife may be too big for such as cutting up and peeling fruit, removing strawberry stems, or hulling tomatoes. A good pairing knife is between 3-4″. Knife blades are made from two methods: stamped and forged. Be sure that you know the style you are purchasing, as this can contribute to the cost and quality of the knife. A stamped blade is cut out or “stamped” from a thin piece of steel. It goes through additional manufacturing steps to add the cutting edge and durability. Stamped blades are lightweight and more budget-friendly as compared to forged knives. 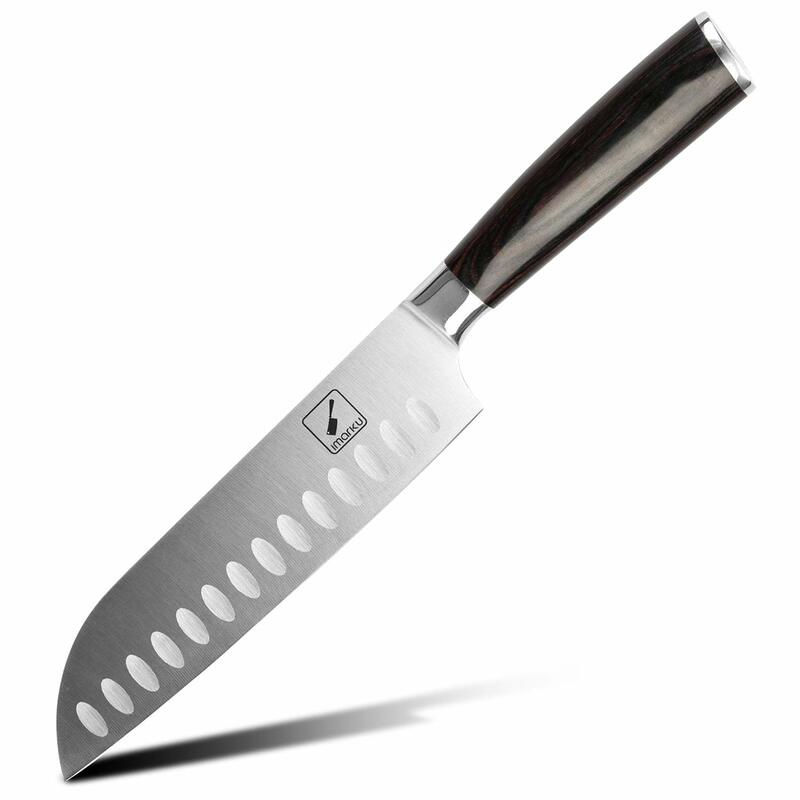 (Example: Victorinox Fibrox Chefs Knife) A stamped blade is “stamped” or cut out from a large piece of steel. It is then processed to add durability and a sharp cutting edge. Take a look at the available stamped knives before going straight to forged as there are some good knives available at a lower cost. The forged blade is heavier than stamped blades, but also are higher quality. The forging process heats up a piece of steel and then hammers it into the shape of the blade. Western and Japanese are two common styles of forged blades. Western knives usually have a thick bolster between the handle and the blade. Forged knives are more expensive than other styles because you get what you pay for. There are three main varieties of handles: wood, stainless steel, and plastic. Wood handles were previously one of the more popular styles; however, they are not very well accepted in the commercial restaurant industry because the wood can harbor bacteria. Stainless steel handles require virtually no maintenance. They are easy to clean and can provide balance for the knife as compared to wood or plastic. The only downside with stainless steel is the grip can be slippery when wet. Plastic handles are the most popular for knives today. They allow you to create a firm grip and are easy to clean. Santoprene handles are another type of handle that can fall under the plastic category. They are made from a blend of polypropylene and synthetic rubber which creates a really good surface for gripping. Consider the return policy when buying cutlery online through Cyber Monday deals. 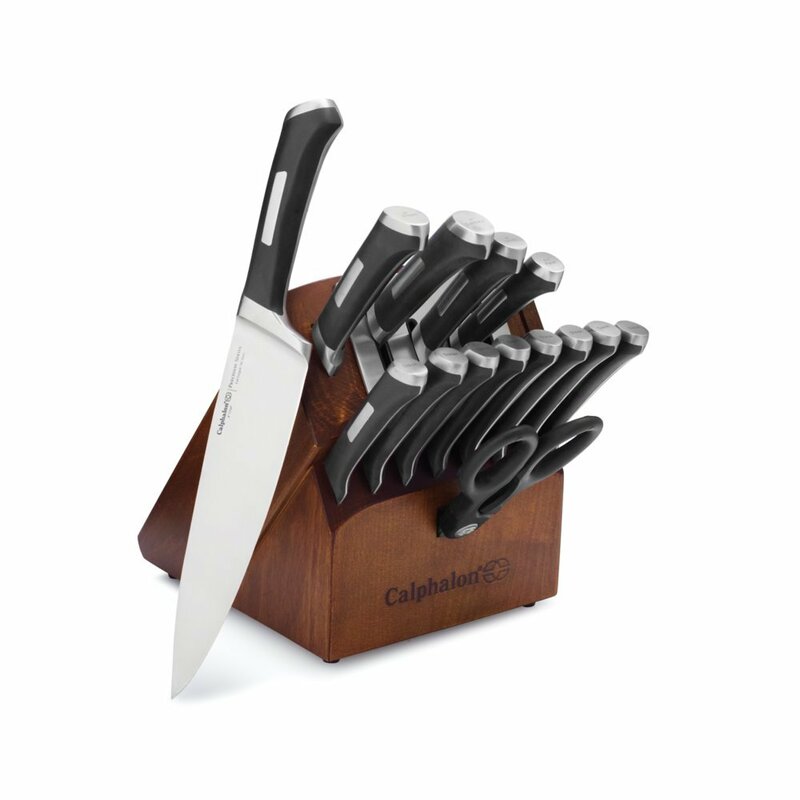 Be sure that the knife set can be easily returned if you are unsatisfied when you get it and given them a try. Also, make sure there are not any shipping costs or extra fees to return your purchase. You do not want to find out that the savings of your knife purchase is lost from these extra costs. Understand the available warranty for your new knives. The manufacturer and reseller should stand behind the products that they provide. If they do not, then I would avoid making the purchase. Best Buy is known for its fantastic deals on electronics, but did you know that they sell kitchen items? Here are some of the current deals that Best Buy is offering on cookware. Macy’s has several knife sets on sale. 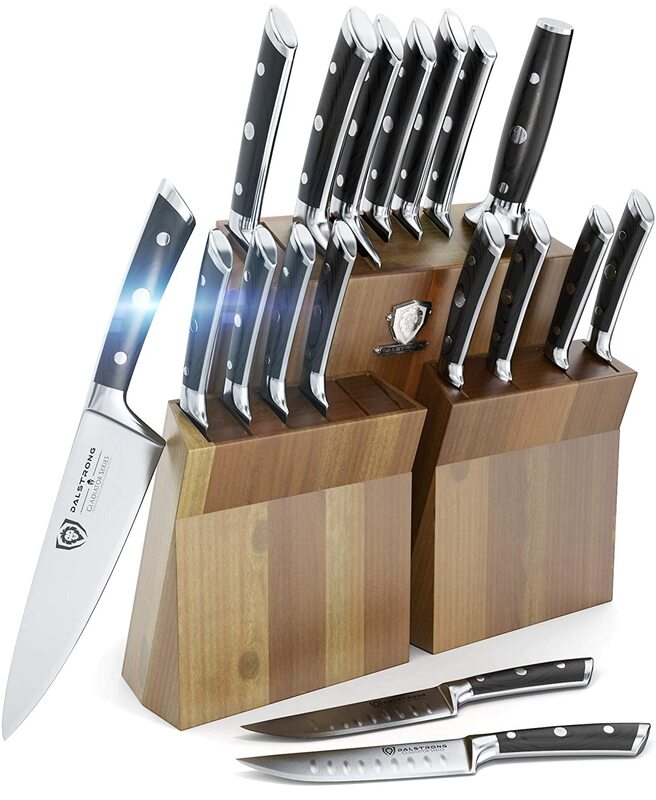 Some of the Black Friday kitchen knife sets that they offer are well-known brands, but the kitchen knife sets have been created just for Macy’s. Keep this in mind as you shop other stores. Most sets are the same as what the other stores have, but there may be some slight variation between them. Walmart’s sales include Early Access to Black Friday Deals, Pre-Black Friday, Black Friday Online Specials.